Mother’s Day is right around the corner, a special day for moms everywhere to feel cherished for all the amazing things they do. Whether she spends the day doing things with loved ones or taking time for herself to feel pampered, this Mother’s Day should be one that is memorable for her. To help you find the perfect gift that truly shows how much she means to you, we’ve put together a few ideas, Jordan Essentials-style! Jordan Essentials’ specializes in making loved ones feel pampered and special. This Mother’s Day, give the gift of Jordan Essentials to those amazing moms in your life. A gift of Jordan Essentials is more than just “lotion”. Each bottle is infused with care, prayer, thoughtfulness, and healthy ingredients for a gift that she can really appreciate. Your Jordan Essentials Consultant can offer specialized service and recommendations to find the perfect choices to fit the personality and needs of the mothers you would like to honor this year. 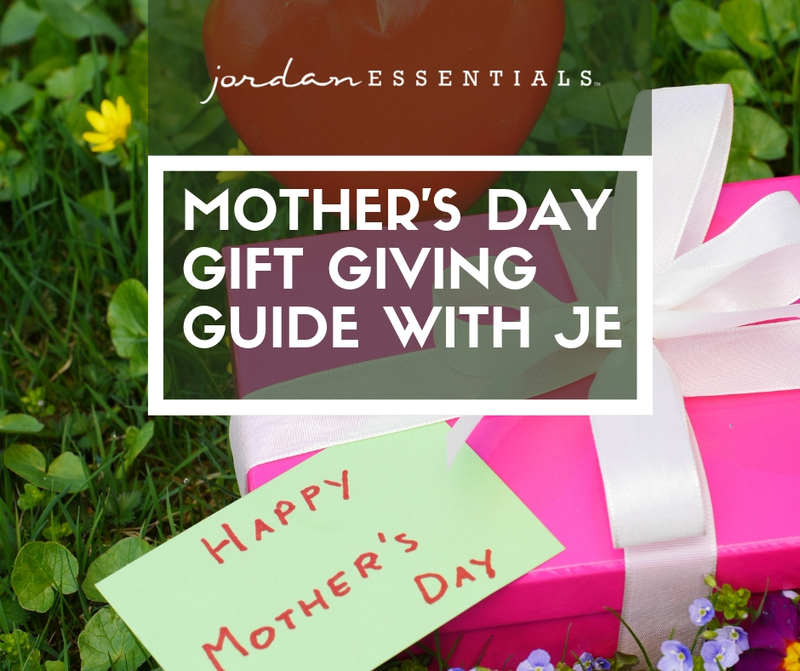 To get you started, Jordan Essentials offers several amazing bundles and collections that are sure to please those special moms in your life. Choose one, combine bundles, or customize with other Jordan Essentials favorites. First, check out our exclusive Mother’s Day Collection Bundle, offered only a limited time. The Mother’s Day Collection contains Jordan Essentials Basic Collection in the popular and retired fragrance of Guavaberry and Goji! Plus, we kicked this collection up a notch. First, your mom can exfoliate with exclusive Himalayan Pink Salt Scrub. Himalayan Pink Salts are prized all over the world for their beneficial properties, including minerals and nutrients that help balance the skin. What makes Himalayan Pink Salt Scrub so special? It’s Pink! Not only is Himalayan Pink Salt Scrub functional with tons of benefits to the skin and body, and it’s also beautiful! No denying that lovely pink color makes it extra special. It’s loaded with beneficial minerals! Himalayan Pink Salt Scrub contains 84 trace minerals and other elements! Among these are iodine, magnesium, calcium, copper, phosphorus, sodium, iron, and zinc (among many others), and the minerals are in a form that the skin can easily absorb to maximize the mineral benefits. It’s Handmade in the USA! Jordan Essentials sources the best quality Himalayan Salts and carefully blends it with other natural ingredients to make an amazing Salt Scrub that exfoliates for smooth, soft, supple skin. And, it’s made in the heart of the USA in Nixa, Missouri! After exfoliating, your mom will love the rich, luxurious, feel of the Guavaberry and Goji Shea Body Butter, as it deeply moisturizes the skin and helps renew skin balance. Then seal the deal with Jordan Essentials’ signature Lotion Bar to lock in the moisture and enrich the skin. Jordan Essentials’ Lotion Bars can be used in other ways, too! Ask your JE Consultant to share the 50 Different Ways to Love your Lotion Bar handout! The Mother’s Day Collection is valued at $42, yet you can get all these awesome products for only $35! That means your Mom will love this collection, and your pocketbook will too! All the stress and worry your mom feels from life can over time start to show on her face. Jordan Essentials Face Care to the rescue! Let your JE Consultant help you select the perfect system that will work best for her, all with nontoxic ingredients that support that youthful glow and healthy skin! Choose one of the amazing collections ranging from our Basic System to the Premiere Set for those moms who deserve it all! Looking for a gift for a mom who is on her feet all day running after kiddos or working hard? Pamper her and pamper her feet with Jordan Essentials Happy Feet Collection. The soothing and cooling benefits of Peppermint are added to Pumice Scrub for exfoliating, Foot Cream for moisturizing and soothing, Pedistick for deep treating, and Dead Sea Salts Soak for nourishing and relaxing. A little goes a long way with this collection, so it will last for a long time, too! Valued at $52.50, you can get all four pampering products for only $48. Still not sure what to give your mom that will really show how much you care? Give her the gift of essential oils! Choose any four (4) of Jordan Essentials amazing Essential Oil Blends for a truly customized experience for mom. Resistance (for helping with what ails you), Allergy (to help open airways), Headache (to support soothing relief), Peace (to help with stress), Immune (to support the Immune System), or Sleep (to help improve her rest). Your mom will be sure to thank you each time she experiences the amazing benefits of these powerful essential oils. Sometimes, moms just need to get away from it all and relax in a nice bath. With Jordan Essentials Dead Sea Salt Soak, her bath will become an oasis while she relaxes in the relaxing blend of mineral-rich ingredients including salts harvested from the Dead Sea, well known for its beneficial properties. Available in three sizes and four different fragrances, you can find the perfect choice that fits the moms on your list. One of our best selling bundles, and for good reason, is the Core 4! Mom will love this collection of our amazing Magnesium Lotion, deeply nourishing and moisturizing Skin Relief Lotion, a Magnesium Stick, and a Lotion Bar in the fragrance of your choice. This fantastic collection has a $63 value and you can get it for your mom for only $50! Mother’s Day is a great day to honor the mothers in the world, but every day is a day to remember those moms that mean so much to us. Why not offer a gift that keeps on giving? With Joyful Jordan Perks Club, your mom will get an exclusive and special collection of products each month! Ask your JE Consultant for more details. Motherhood is a very unique blessing, filled with joy, triumphs, laughs, and special moments… yet also filled with tears, worry, heartache, and often deep prayer. Being a mother is such a profound responsibility, and every woman who has experienced motherhood knows the sleepless nights, the sacrifices, and the love that goes into doing what is best for those in her care. As Mother’s Day approaches, take some time to consider all the amazing “moms” who have touched you in a special way. Biological mothers, step- mothers, foster mothers, adoptive mothers, sisters, aunts, neighbors, and friends all share that amazing bond that comes from a deep and profound mother’s love. Make this Mother’s Day extra special and memorable for those moms in your life with Jordan Essentials. Her love will never cease and all those little things she does that make life so special for you are worth something special in return as a way of saying “Thanks” for…well, everything!